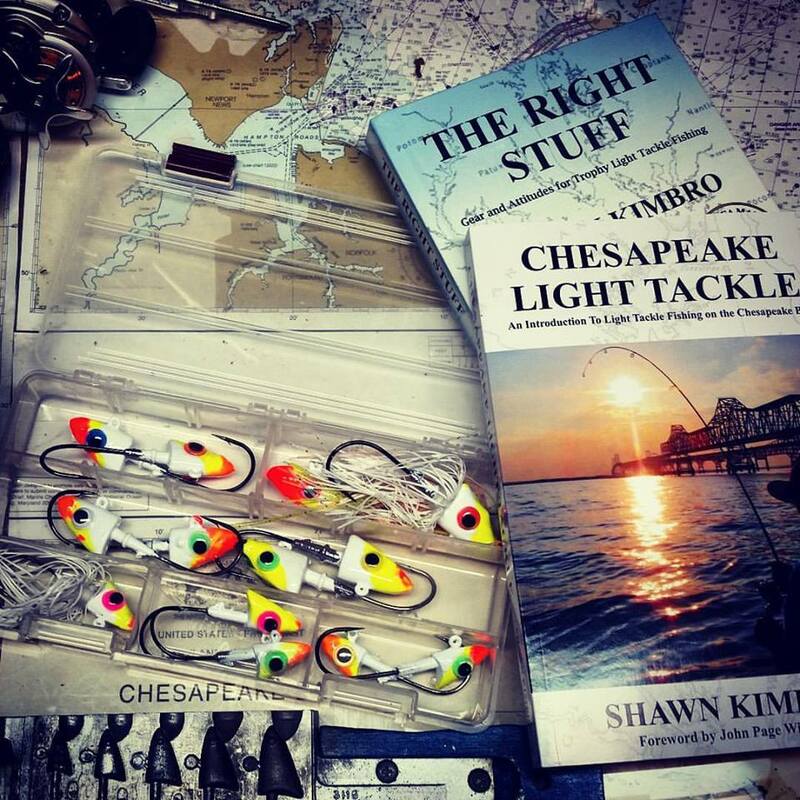 I’m happy to announce that we are on schedule for a September release of my new book, How To Catch Chesapeake Bay Panfish. I’ve been writing for this project for a couple of years and I’ve been researching it my entire life. It has been great fun lining out tips and tricks and sharing information including lots of original fishing stories. It’s a book I’ve always wanted to write. I’ll tell you more about it as we get closer to the release date, but for now, I want to share some recent material from my social media pages. 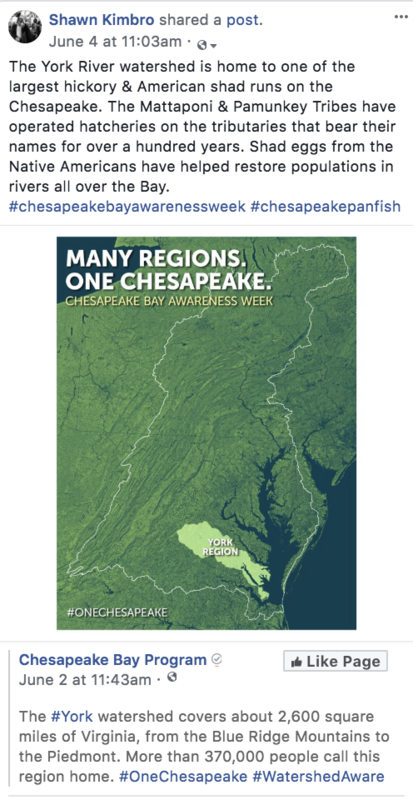 The second week of June is Chesapeake Bay Awareness Week. 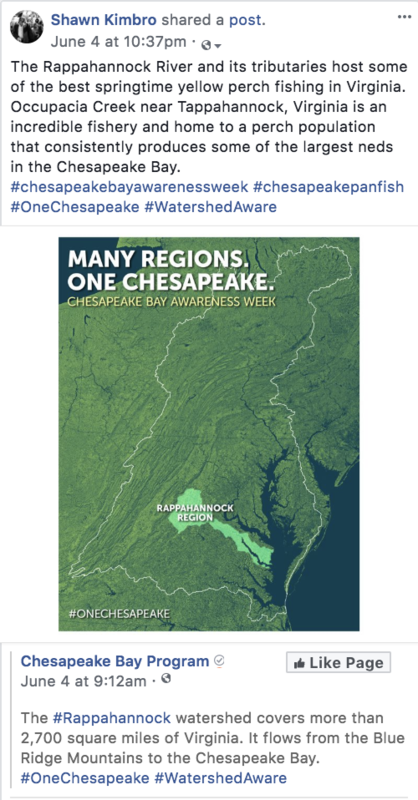 It’s a time for those of us who live in the Chesapeake Watershed to reflect on all the connections we have to the Bay and think about how it affects our everyday lives. 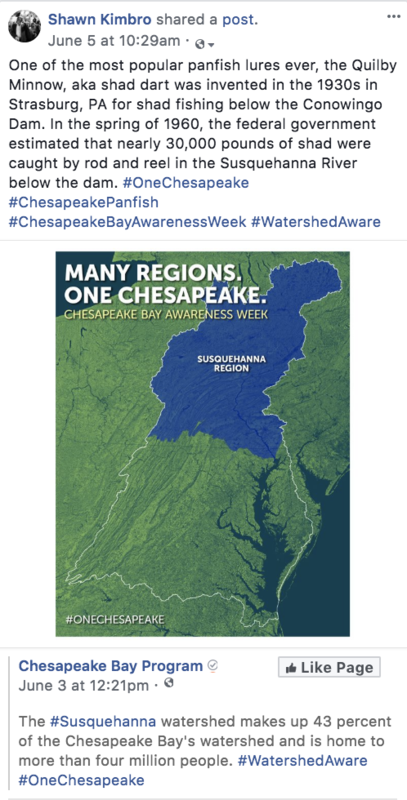 This year, the Alliance for the Chesapeake Bay has participated in a series of social media releases highlighting individual regions and river systems. I thought it might be fun to share those posts on Facebook and add some snippets of my own as they relate to fishing. All of my observations are condensed from the pages of my upcoming book and I’ll have much more to say about each one. Click on the thumbnails if you want to enlarge the posts and read the captions. If you have something to add and want to participate in the discussion, join me on my Facebook page. Stay tuned for more details about my book along with an announcement about some upcoming events we have planned that we hope will help bring together sportsmen and women from all around the Watershed to work toward better fishing. Let’s fish! Really looking forward to this. Any updates? 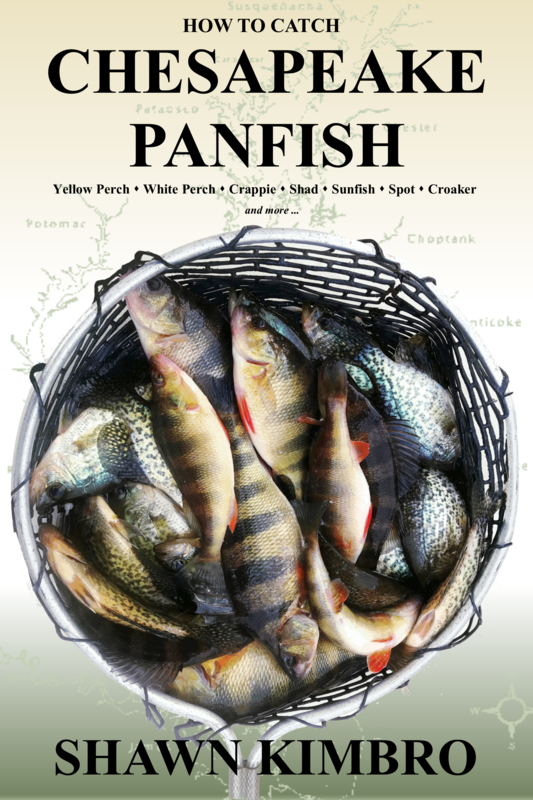 Chesapeake panfish are my favorite.